We, the undersigned civil society organisations call for a fundamental overhaul of the trade policy decision-making process for ongoing and future trade and investment agreements of the EU. democratic participation, and the secrecy surrounding the negotiations (draft TTIP chapters remain secret until today) have been key factors that led to the controversies around the CETA ratification process. The experience of CETA and TTIP calls for fundamental change to the existing processes of how EU Trade and Investment agreements are negotiated. Only a democratic and transparent process from its inception, both at the European and Member States level, has the potential to ensure that trade and investment agreements will benefit all and hence gain broad endorsement. These are not technical but political questions. 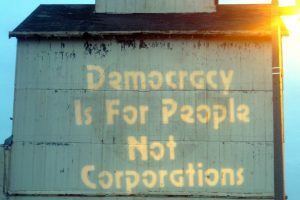 Recent proposals by the European Commission to take investment from future trade agreements and thereby making them EU only cannot lead to less democracy and public debate. Throughout the whole process we need the involvement of parliaments and a public debate from the local to the European level. We cannot allow to rush the process at the expanse of democratic involvement. Trade is not an end in itself, it must be a means to achieve social, environmental and economic objectives. Trade and investment agreements must not put trade liberalisation and maximisation and reduction of costs for business as main priorities but contribute to public interest objectives such as tackling climate change, securing decent jobs, protecting citizens’ health, ensuring tax justice and financial stability. This means also that trade policy must support the fulfillment and achievement of human rights and other treaties and agreements such as the Paris Climate Treaty, ILO Standards, the Biodiversity convention, the Sustainable Development Goals. The Commission should hold an open and transparent public consultation during the initial phase preceding the launch of the negotiations and before the negotiation mandate is drafted. The consultation must be open ended and not allow only for one predetermined outcome. The Commission should make the draft mandate publicly available as soon as it is ready to allow a full and meaningful debate in parliaments and with civil society. To ensure full transparency all contributions to the public consultation are to be made public. All stakeholders should have an equal opportunity to provide input to decision-makers before, during and after the negotiation of a trade and investment agreement. Governments and the Commission need to ensure that they achieve balance in their stakeholder interaction, both quantitatively and qualitatively. This includes actively seeking input from underrepresented groups as well as limiting interaction with groups that are overrepresented. Contacts with interest groups should be disclosed fully and proactively. Furthermore, the Commission should refrain from seeking direct input from interest groups non-transparently on a bilateral basis. The mandates for trade and investment agreements must be discussed and approved not only by the Council, but also the European Parliament. The Member State governments must discuss mandates with their parliaments and obtain their approval. To ensure that social, environmental and economic objectives as well as public interest are prioritized over commercial interests other DG’s/ministries must have a substantially more prominent role in trade policy formulation at all levels of the policy process. All mandates, negotiating proposals and consolidated negotiation texts as well as stakeholder input must be proactively published and fully publicly accessible. must receive detailed up-to date information and negotiation texts (e.g. using Germany’s “Act on Cooperation between the Federal Government and the German Bundestag in Matters concerning the European Union” as a starting-point for improved access to information rights). They must be allowed to formulate guidelines and directions for ongoing negotiations. All those debates should be public and allow for contributions from all interested civil society organisations. The European Parliament and the parliaments of Member States must ensure a broad public debate of an agreement in the parliament after it is available in all languages. This includes allowing all relevant committees to assess the agreement involving different interest groups before voting on it or before Member State governments take a position in the Council. It also includes publishing a full assessment of the benefits and risks of the agreement to be undertaken. Parliaments must have the right to send the proposed text back to the negotiating table, also after the negotiations are concluded. The practice of provisional application of international treaties was intended for situations of emergency and great urgency not for trade and investment agreements. Such agreements should only be applied when they have been fully ratified. International agreements concluded by the EU are difficult to terminate. The Commission needs to propose to the Council to take such action by qualified majority or even unanimity and the European Parliament needs to consent to such a decision. This high hurdle prevents future governments from evaluating trade agreements that have been negotiated by previous governments. Therefore, every trade agreement negotiated by the EU should only be concluded for a limited period of time, with the possibility for both Parties to prolong the duration after that period. In addition, the European Parliament and Member State parliaments need to have the right to request a comprehensive review of trade and investment agreements based on a Human Rights and Sustainability Impact Assessment. Some of the steps we outline can be achieved immediately, others will need a more fundamental reform of the involved institutions. Together these steps present a road to a trade and investment policy where public interest is in the driving seat.